On February 28th, the Study of Early Literacy 2, welcomed Dr. Gina Cervetti from the UM SOE. 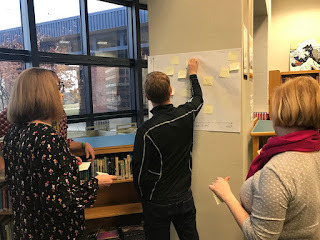 Dr. Cervetti believes we (educators) should support the development of KNOWLEDGE (not just isolated skills) through extended investigations and experiences, units of study, and conceptually focused reading. By combining what we know about literacy instruction with the NGSS, knowledge building will be the focus, as it should be. 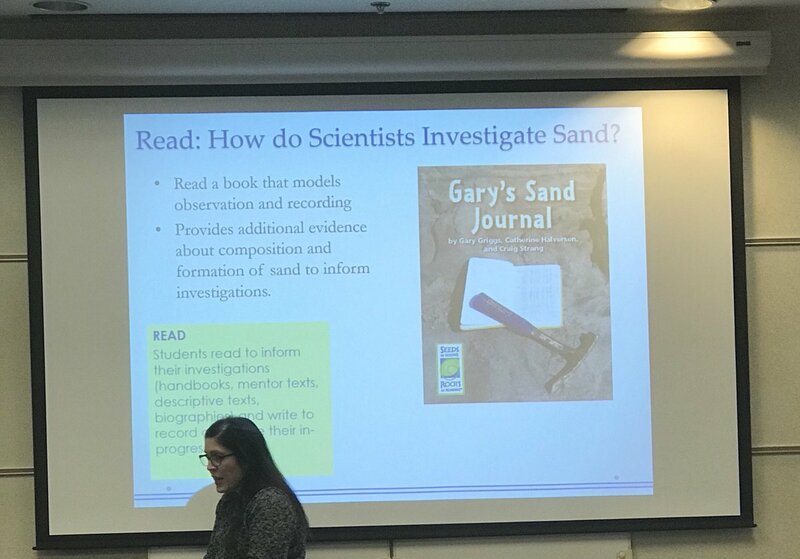 SOEL looks forward to working with Dr. Cervetti next year in writing science/literacy integrated units, in line with both NGSS and The Essentials of Instruction in Early Literacy. March 13, SOEL 1 welcomes Dr. Ernest Morrell on Every Child a Super Reader at EMU. May 22nd, 23rd or 24th at WISD as SOEL teachers showcase their learning from their year long SOEL Teacher Action Research. Contact Melissa Brooks-Yip if interested. On February 21, the Inquiry Into Disciplinary Literacy and Learning was hosted by member Melanie Dever at Millcreek Middle School. Melanie and Ethan from Huron HS, led us through a process of thinking about what it takes for teachers to teach disciplinary literacy (as opposed to reading and writing in the content area), that disciplinary inquiry is about constructing and communicating knowledge, and this instruction is defined as supporting students' specific literate practices in the discipline for the purpose of disciplinary inquiry. March 22 as Huron High School hosts IDLL with guest Dr. Liz Kolb on Learning First, Technology Second. May 17th at UM on the future of Disciplinary Literacy-contact Melissa Brooks-Yip if interested. Are you looking for some new titles for YOU and the diverse readers in your classroom?